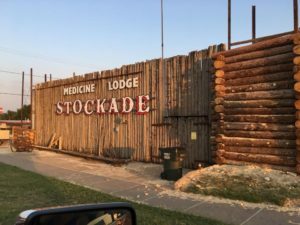 Located at 209 W. Fowler Ave. the Stockade Museum is a reproduction of the Stockade that originally surrounded Medicine Lodge. Built in 1874 to keep residents safe from Indian attacks, the Stockade was located in what is now the center of town. Visit the Museum to learn Medicine Lodge history and to tour the Carry Nation House.